Is this the end of an era, or the beginning of a new one? As we all know, it was an Agera RS that on a barren stretch of Nevada highway, reaching an . 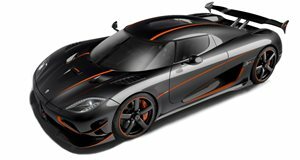 With a total of 1,360 hp and 1,011 lb-ft of torque thanks to its twin-turbo 5.0-liter V8, the Agera RS was limited in production to a mere 25 examples. However, a total of 30 will be built in the end. Why? Because one of the original 25 planned units was totaled in a crash and Koenigsegg built its owner a replacement car. The three-car Final collection will top that number off at 29 examples, but Koenigsegg has yet to provide an official verification on that, but we’re expecting that number fairly soon. So, what’s next for Koenigsegg?